w00t! 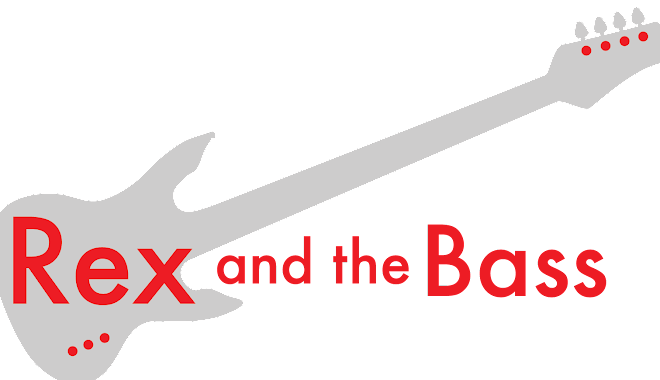 A new super group! An alternative-country Super Group! Made up from guy from The Killers! And the guys from Keane! That is how my mind works, I suppose, and I am dubious of super-groups in general. But when I heard the genre and the band’s line-up, I had to go for it and download a copy of Mt. Desolation’s eponymous debut album that was released last week. 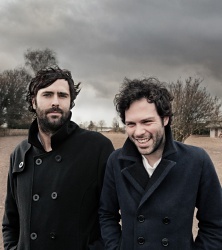 First off, the band was started as a side project by Tim Rice-Oxley and Jesse Quin from Keane, who are the front men and get writing credit. Other members include The Killer's Ronnie Vannucci on drums, as well as folks from Noah & The Whale, The Long Winters, The Staves, and Mumford & Sons. After seeing this written out, this project seems like a horrible idea. But Mt. 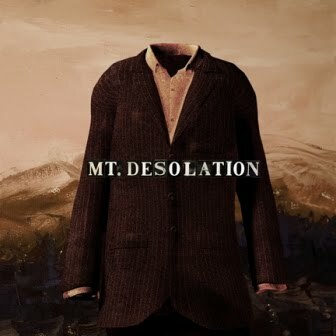 Desolation turns out to be a pretty good album, probably because they did not try to produce a countrified Keane record. It is not high art or ground-breaking new sounds, but it is an entertaining pseudo-country album. The songs are well-written, and the album was produced well. There is a great mix of instruments on Mt. Desolation, including some nice banjo work. And Jessica Staveley-Taylor’s backing vocals sound great with Rice-Oxley and Quin. ”Departure” is a quick, upbeat tune with some piano, but more of a honky tonk sound than what you are used to hearing from these guys. A nice bit of warbling, and a solid chorus too. For a little more of the saloon sound, check out “Platform 7”. ”State of Our Affairs” is more indie than country, but it is a great song, and a haunting piece of work. ”The ‘Midnight Ghost’” comes off kind of like an old spiritual tune, with the bonus of some nice slide guitar parts. After listening to the whole album a few time, one of my only complaint is that the lyrics are a bit cliché-ridden. Then again, it is kind of country music, so that can be expected. I am not brave enough to tell you to go out and buy the whole record, but check out the Mt. Desolation previews on iTunes. You might find a song or two that you like.